Kelley Blue Book (KBB) has named Toyota the Best Resale Value Brand overall and has named Lexus the Best Luxury Brand Resale Value. Toyota and Lexus have put up a slew of victories recently in ratings and rankings including Toyota’s three brands sweeping the podium wins in Consumer Reports Quality Survey. Toyota and Lexus also dominated this year’s J.D. Power and Associates Initial Quality Survey. Unlike the awards given by automotive magazines who pick their car or the year or automobile of the year, all of these awards are based on consumer choices, not auto-writer’s preferences. Kelley Blue Book is a respected source of automobile (and truck) resale values. Many shoppers use KBB when they are considering buying a new car or used car. It is also a valued source to use when one needs to get an estimated trade in value or private party sale value for their current car. In fact, it is not uncommon for a salesperson or aftersales manager at a dealership to show a shopper the KBB value of the car they are trading, implying that the source is independent and can be a trusted starting point. Interestingly, Toyota and Lexus won some categories in the KBB Resale Value awards than many might think would be won by others. For example, in the entry-luxury sports sedan category the Lexus IS line is the winner with the BMW 3-Series finishing third. In many automotive magazine comparison tests the IS is left out since it isn’t the flashiest, and it isn’t a track-ready vehicle like some BMWs are. It is forgotten by everyone but buyers, who buy a lot of them and then when they sell them second hand enjoy the highest resale value in the category. Similarly, the Toyota Camry won the world’s largest car segment, the mid-size sedan category. If one were to look only at reviews by professional writers and enthusiasts it would seem the Camry cannot be a favorite. When driven at “Ten-Tenths” sideways, or in an autocross the Camry is rarely winner. However, on the way to work or on the way home from the dealership the Camry rocks and it is always a top seller, or the THE top seller in the category. Often labeled frumpy or boring by reviewers looking for an exciting ride on their test drive, the Camry is actually thought of as comfortable and reliable by owners, hence its top resale value in the most important car segment of all. Toyota and Lexus did not finish tops in all categories, but if one looks closely at the categories what emerges is an obvious trend. Everyplace that Toyota competes it is usually first, or if not, second in the resale value of that class of vehicle. For example, trucks are the most profitable vehicles in America and the US automakers, Ford and GM do everything they can be the best in that segment. Similarly, Ram, owned by Italy’s Fiat, also puts forth its best effort. The results are impressive. All three are high quality vehicles loved by their owners and they enjoy one of the most brand-loyal followings of all vehicle segments. Toyota did not win this segment, it finished second by a fraction of a percent to Ford. However, by 60 months of ownership Toyota is tied with Ford and number two (Chevy) is far behind. In the mid-size pickup segment Toyota wins handily, beating number two by about an 8% difference in retained value. 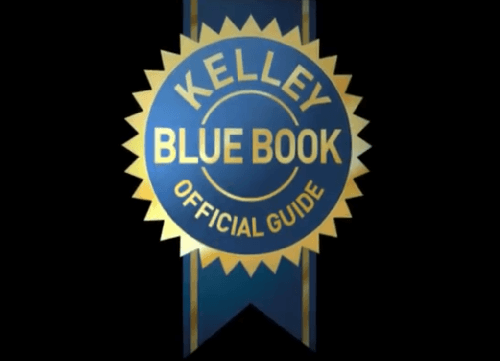 Kelley Blue Book has joined Consumer Reports and J.D. Power and Associates in awarding Toyota and Lexus top honors in this year’s award. For complete results please visit KBB at this link.